In the 1950s, the tag “Jet City” was often used for Seattle, although Renton a city just south of Seattle, officially claimed this moniker. Beginning in 1975, Harper’s Magazine and other urban observers dubbed Seattle “America’s most livable city,” which soon became an unofficial municipal motto. In the summer of 1981, little Seattle became, the Emerald City. Seattle is the jewel of the Northwest, the queen of the Evergreen State, the many-faceted city of space, elegance, magic and beauty and is noted for being environmentally green. It is now been 30 years later and the Emerald City touts itself as being a leader in renewable energy and environmentally friendly region. Rapid Recovery is there to help achieve its goals of providing safe and efficient way to Recover, Reclaim and Return refrigerants used in the Northwest Region. Rapid Recovery has the fastest machines and most talented people when it comes to Refrigerant Recovery. 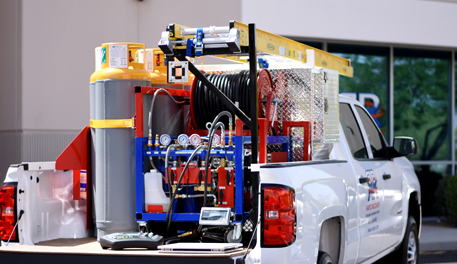 Though Rapid Recovery is new to the Emerald City, the company has over 10 years’ experience in providing jobsite recoveries and cylinder service to HVAC Contractors, Building Owners, Demolition Companies and Waste and Recycling Companies. Contact your local Seattle team today to get a quote on your next project. You guys are awesome, this is why I am happy to have you as part of our team. Your response is great, your followup is even better and the professional reports we pass along to our customers just makes us all look good. Thank you all again!